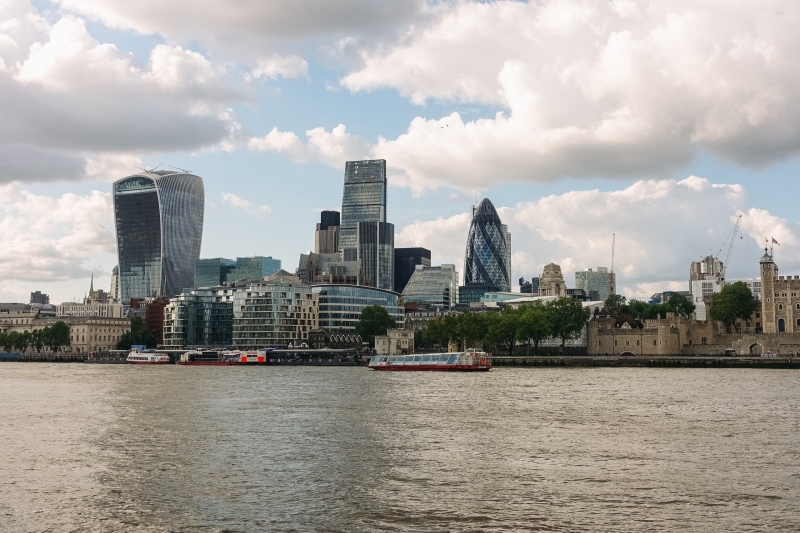 London offers many beautiful views for visitors to enjoy. Here are a few that I loved. 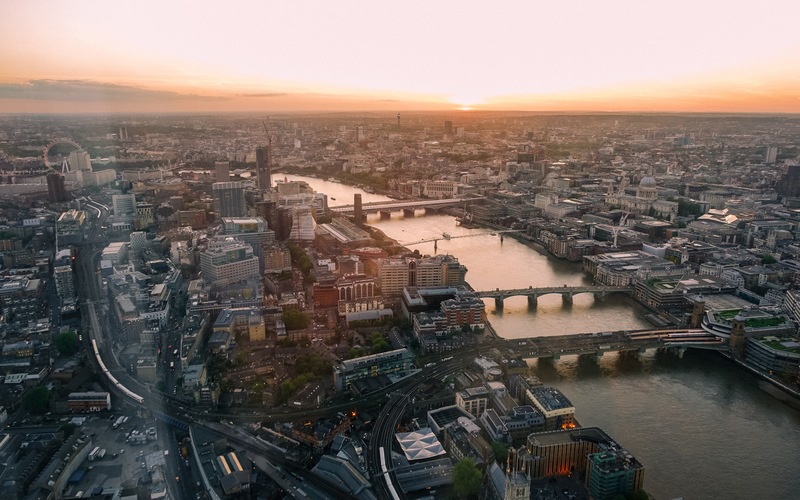 In the Victorian Era, the city needed to build a bridge downstream from London Bridge that could accommodate river traffic. They launched a bridge design competition. The winning design was by Horace Jones and John Wolfe Barry. 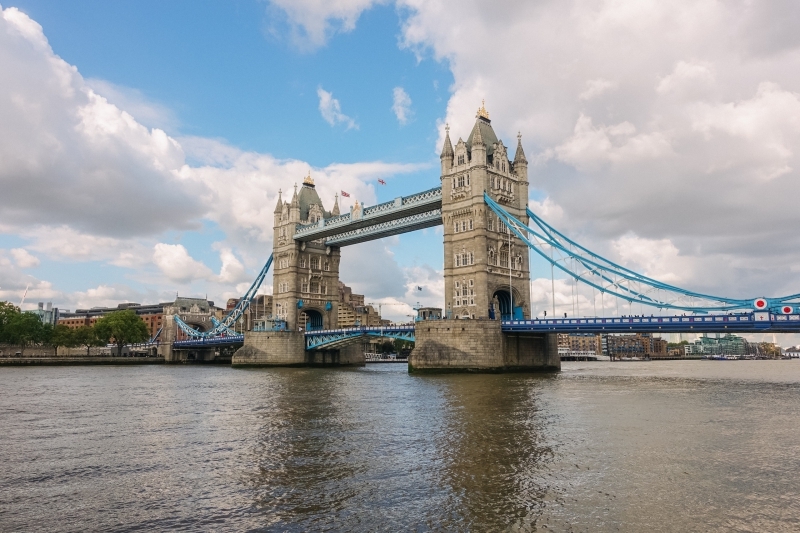 Tower Bridge was built in eight years, and it was the most complex bascule bridge in its time. It was a hydraulic system. 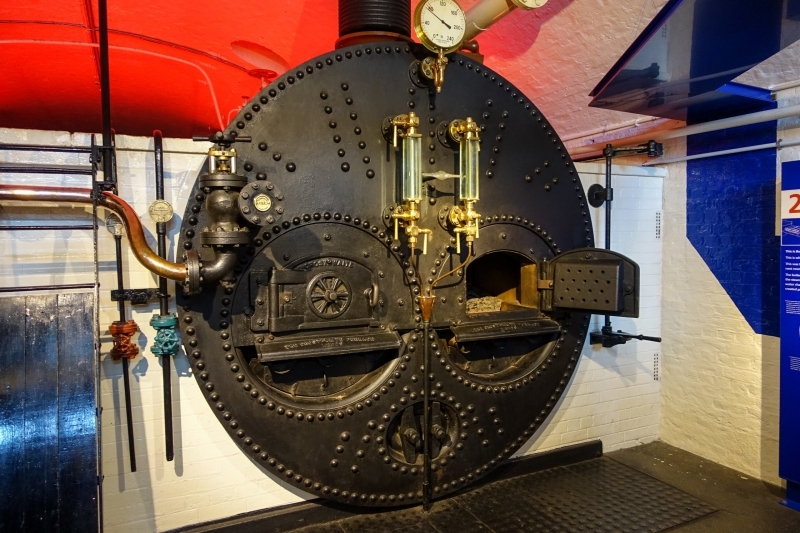 Steam-powered pumping engines created energy that was collected in accumulators, which then fed the driving engines. The bascules took only a minute to raise to their maximum angle of 86 degrees. 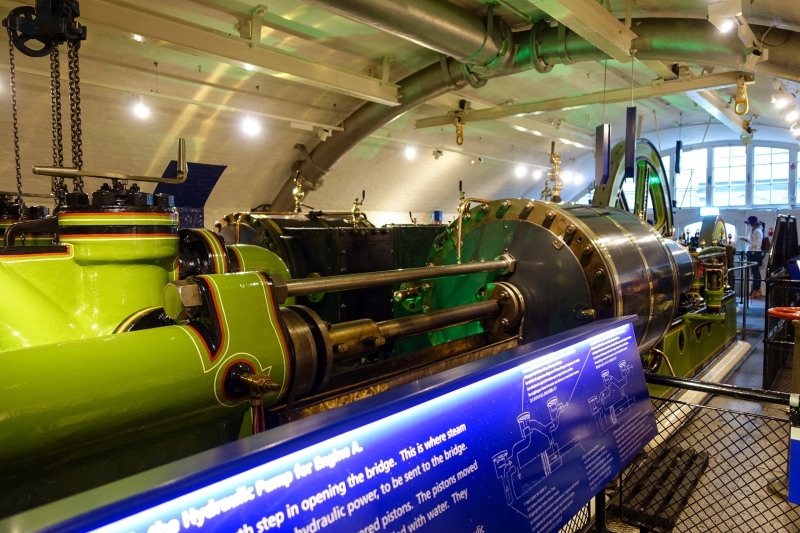 Today, the bascules are powered by oil and electricity instead of steam. If you want to see them being raised, check out the lift schedule. It happens several times a day. 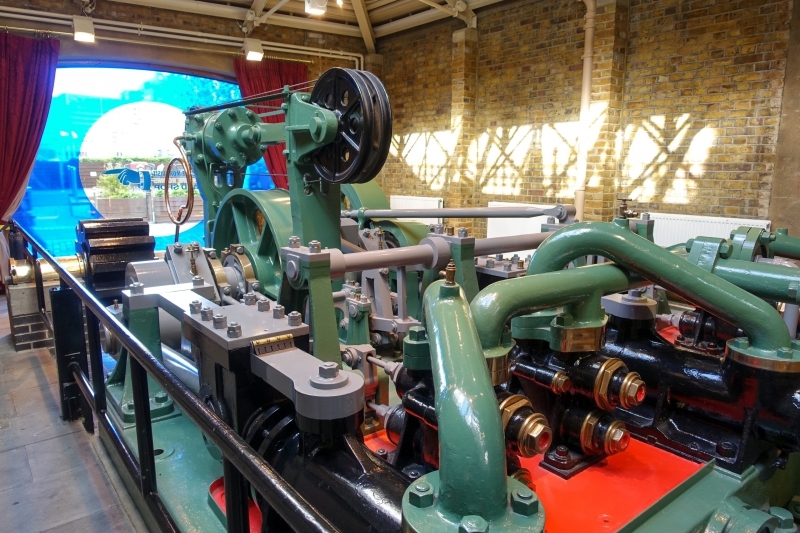 The Tower Bridge Exhibition features informational video exhibits, access to the bridge’s covered walkway, and a trip to the engine rooms, where the original steam-powered equipment resides. 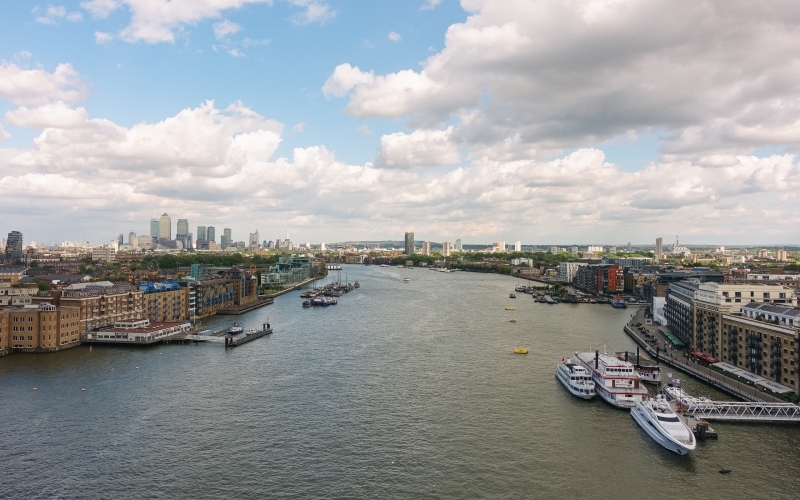 My favorite part was the covered walkway, which allowed us to cross the bridge away from the vehicles and get a view of the Thames from above street level. 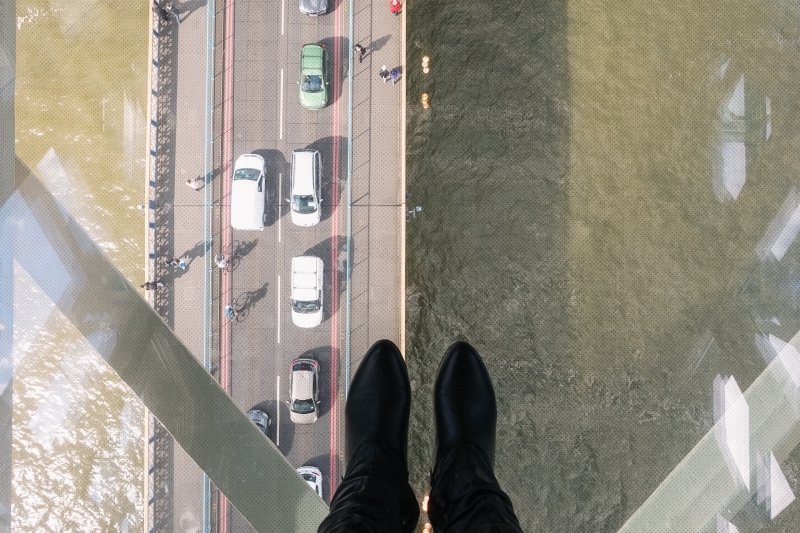 Portions of the walkway had glass floors, revealing the traffic on the bridge below. I would say the exhibition was just okay. Also, it was packed with visitors when we went in May. Unless you’re particularly interested in how bascule bridges work, I suggest you skip the exhibition and just cross the bridge outside. There are sidewalks on both sides of the road, so you can enjoy the view of the Thames without going into the exhibition. It’s not the most scenic view, but I think it highlights London’s industry and dynamism. Tower Bridge is one of the most famous bridges in the world. 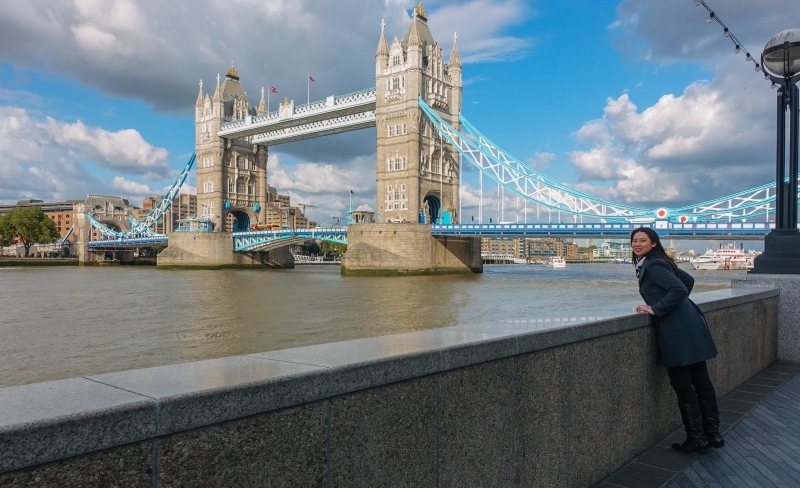 The riverbank walkways along the Thames are perfect for admiring this iconic structure. 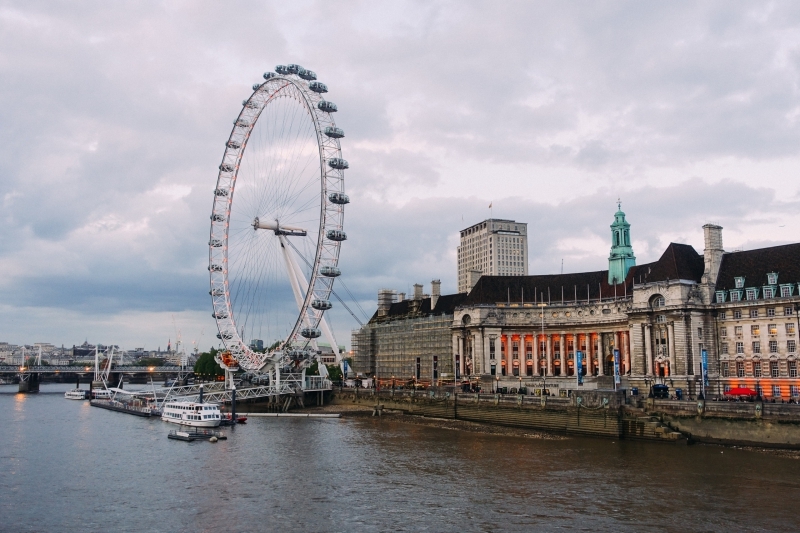 The London Eye is Europe’s tallest Ferris wheel. It’s the most visited paid tourist destination in the UK. It’s also appeared in countless movies and TV shows. The Sherlock opening sequence is one of my favorites. 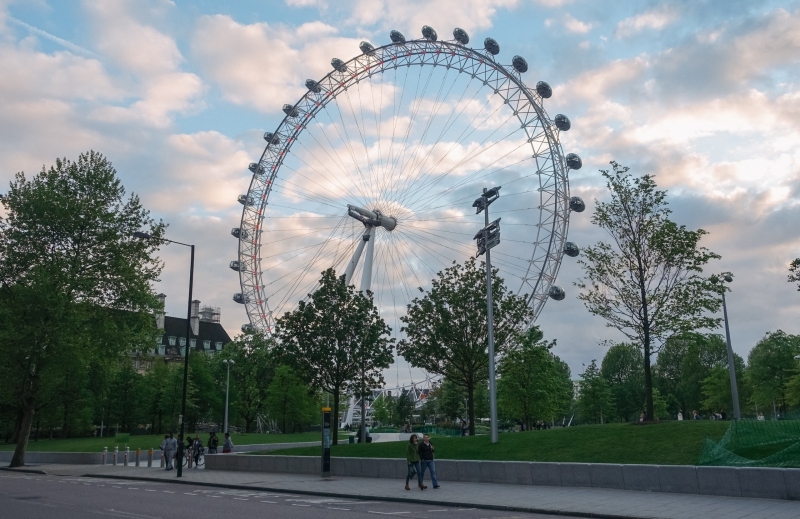 Its current official name is Coca-Cola London Eye. N- and I enjoyed seeing the London Eye up close on the South Bank of the Thames. 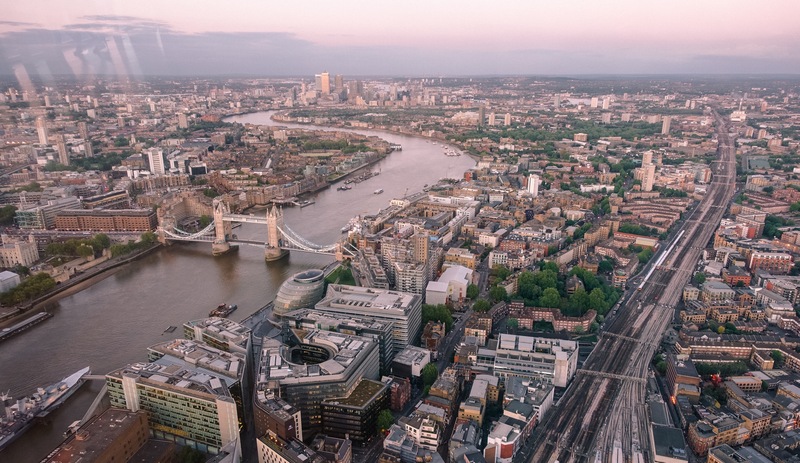 We didn’t go for a ride, though—we’d decided beforehand that the Shard was a better choice for a view from above. At the north end of the Palace of Westminster stands a famous clock tower called Elizabeth Tower. The name Big Ben was originally used as a nickname for the bell in this tower, but is now used frequently to refer to the tower, the clock, and the bell. 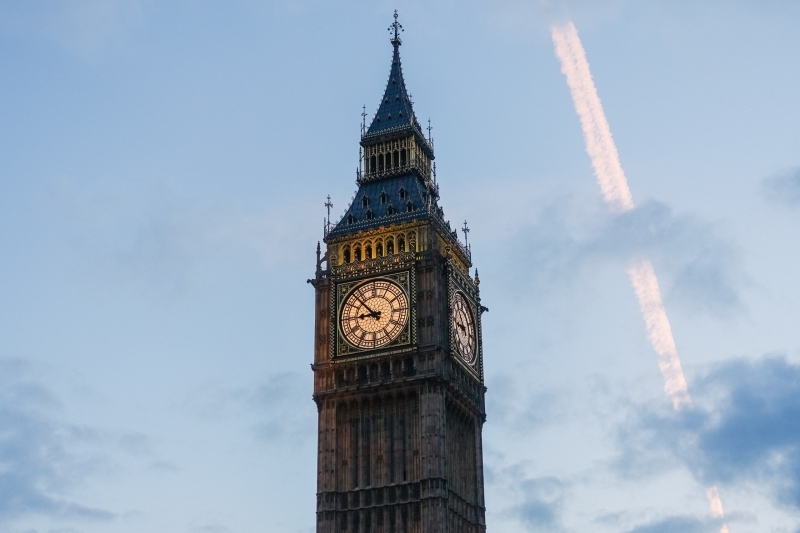 Big Ben has become one of the most prominent structures in the UK. 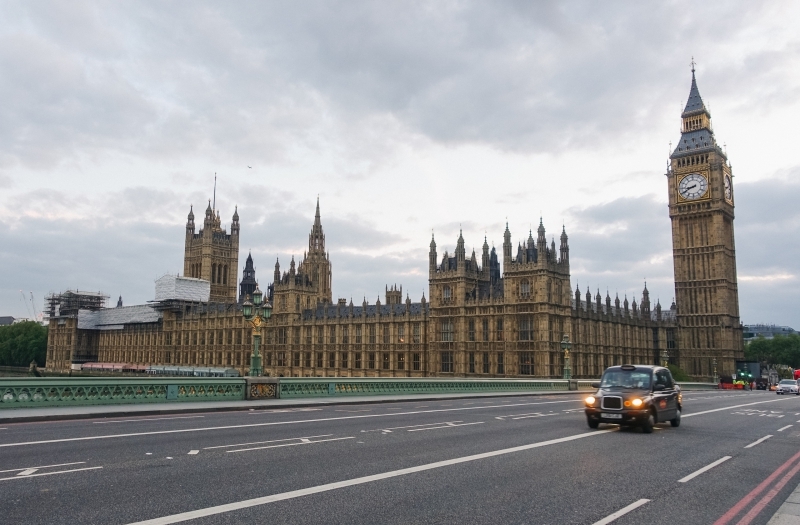 I recommend walking down Westminster Bridge, where you can see the London Eye in one direction and Big Ben in the other. 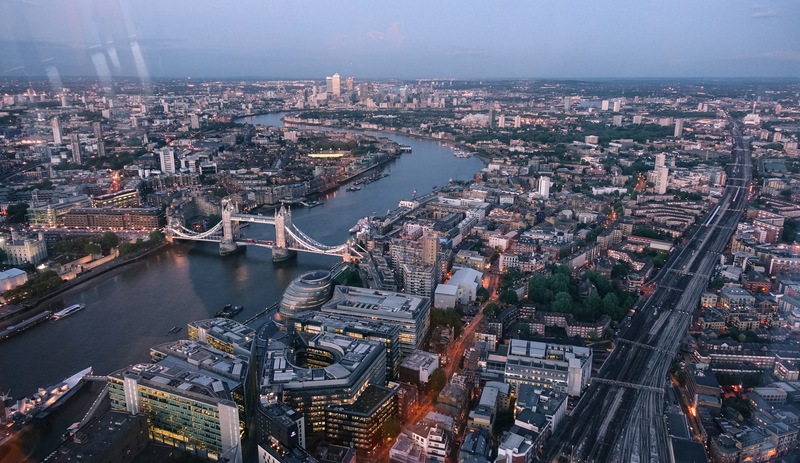 The Shard is a “vertical city” comprised of shops, offices, apartments, a hotel, restaurants, and a viewing gallery. Designed by Renzo Piano, it was inspired by church spires and ship masts. It features eight sloping glass facades. From below, this glass-and-steel skyscraper seems to taper off and disappear into the sky. From afar, it makes for a striking figure in the city’s skyline. 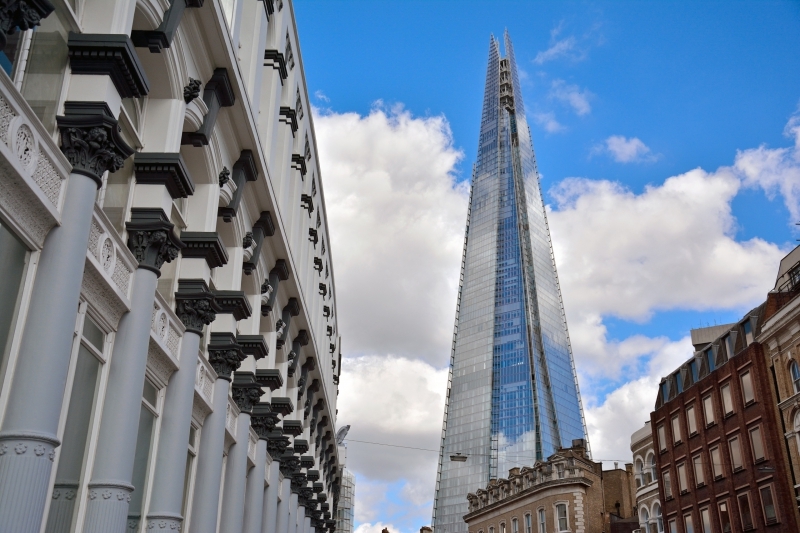 The Shard is the tallest building in Western Europe. 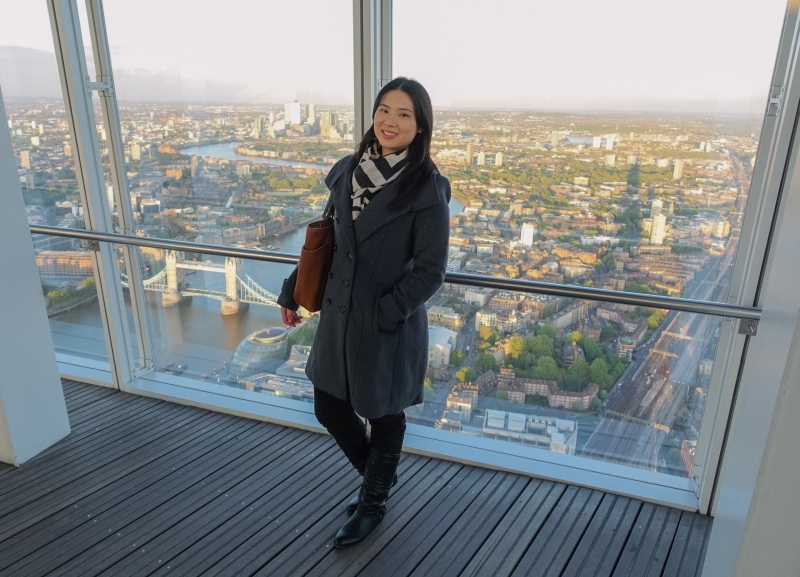 Its viewing gallery at the top provides a stunning panoramic view of London. We arrived just before sunset and enjoyed daytime, sunset, and early evening views. The city was breathtaking and beautiful from above. We took our time taking in the view, identifying well-known landmarks, and watching the trains and ferries come and go. 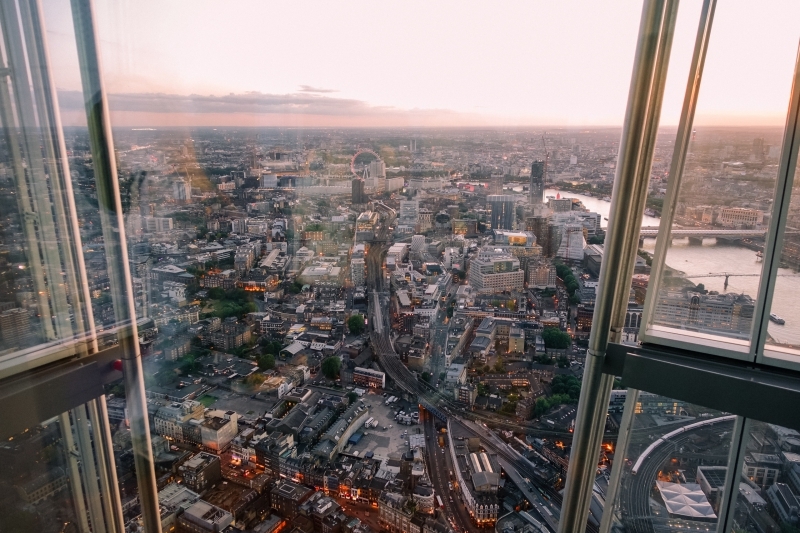 The area was surrounded by slanted glass windows—which is kind of the point of the Shard. Photos you take here will tend to have reflections. They had no chairs. We stood the whole time we were there. Some visitors sat on the floor. 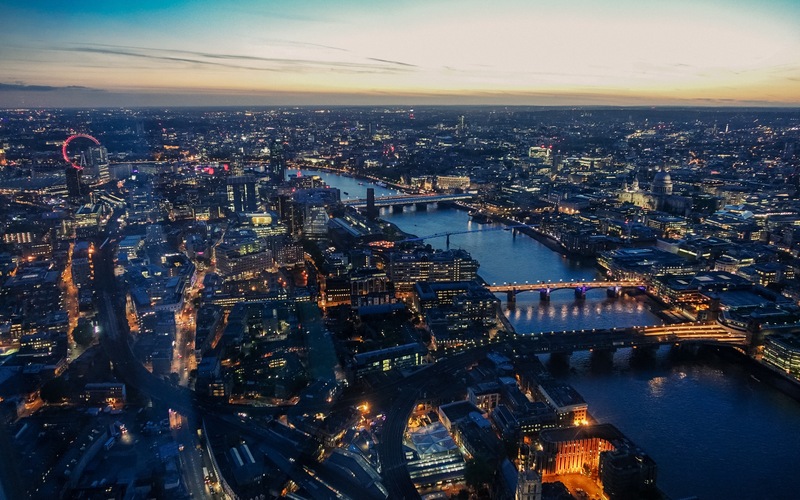 As long as you know what to expect, you’ll have a great time at the Shard. 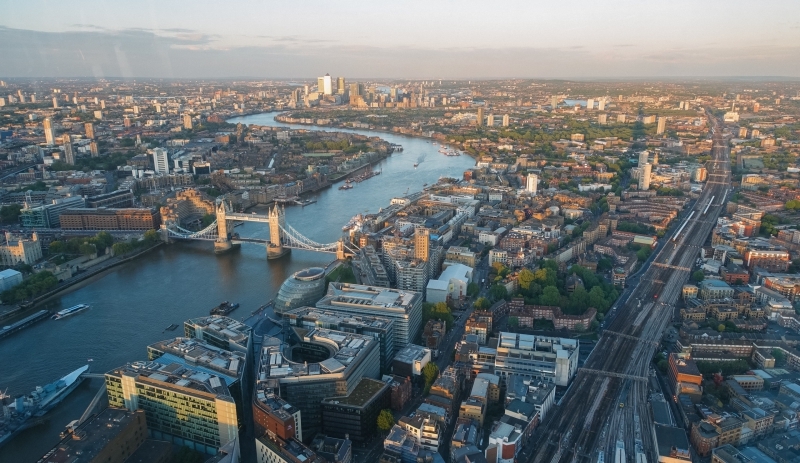 N- and I wanted to see at least one view of London from above. We narrowed it down to the Shard and the London Eye. Both have steep admission prices for what are essentially viewing platforms. 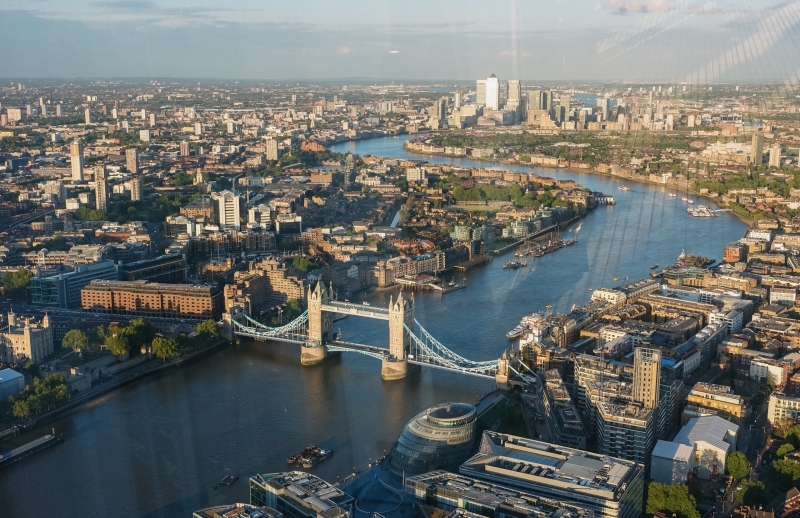 For adults, the Shard costs £26, while the London Eye costs £19 to £32 depending on the ticket particulars (online or walk-in; regular or fast track). Choosing the Shard was a good decision. 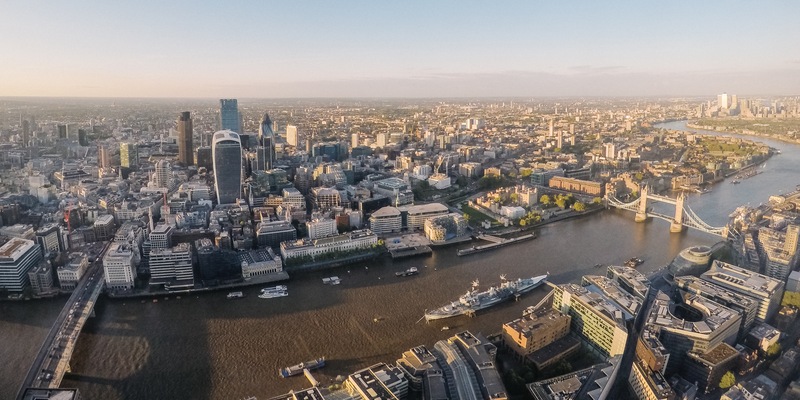 The Shard is much higher up and has expansive 360-degree views. The London Eye is a Ferris wheel, so other carriages block part of your view. 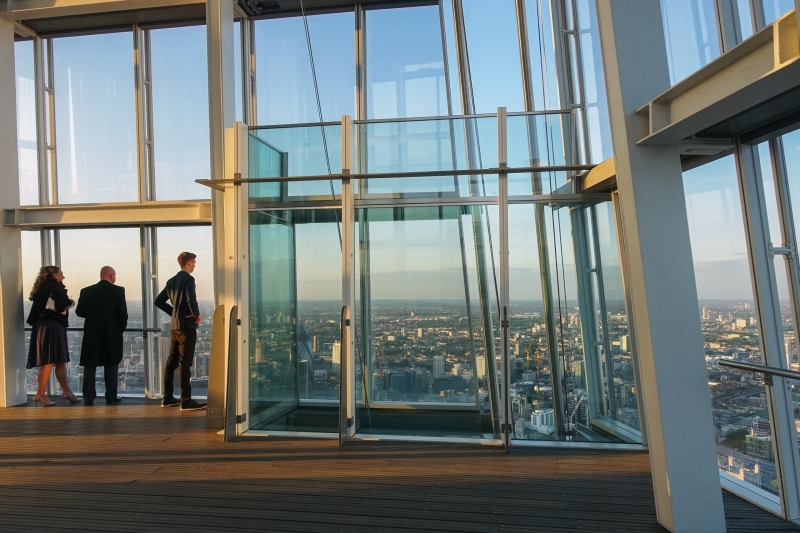 In contrast with the London Eye’s 30-minute rotations, the Shard lets you stay as long as you want once you get to the viewing gallery. As a bonus, you can see the London Eye from the Shard. So if you’re choosing between these two, I highly recommend the Shard. 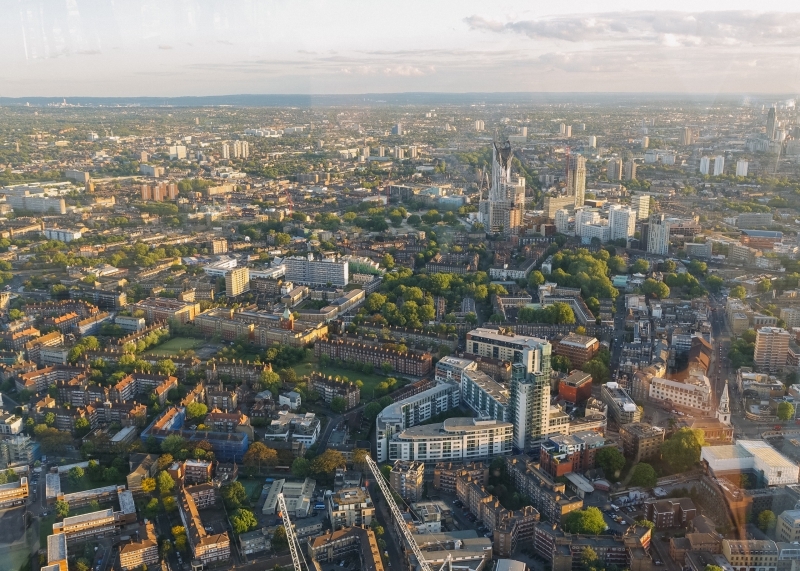 These are places I haven’t visited, but they offer great views of London and have good reviews. St. Paul’s Cathedral – Climb the stairs to the Golden Gallery at the top of the dome. £18 admission. The Monument – 161m tall Monument to the Great Fire of London. £4 admission. 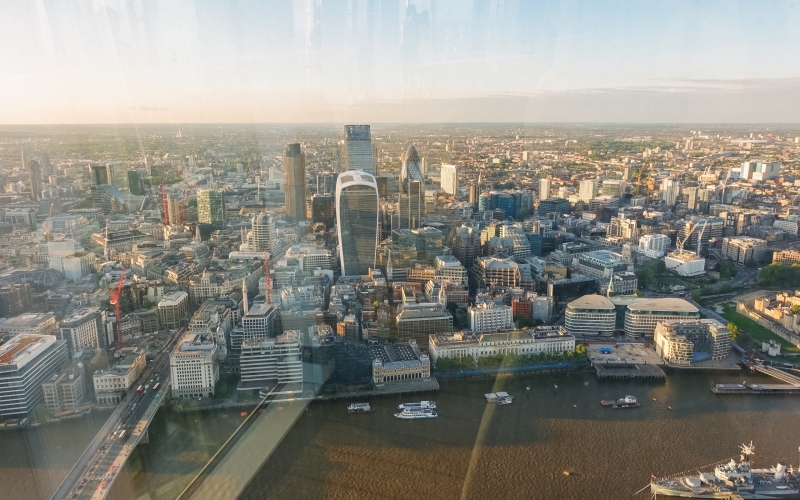 Sky Garden – Make an advanced booking for a timed 1-hour visit to this viewing gallery. Free admission. You can also dine at one of the restaurants here if you want to spend more time. Vertigo 42 – High-end champagne bar. Reservations encouraged. ££££ on Yelp. 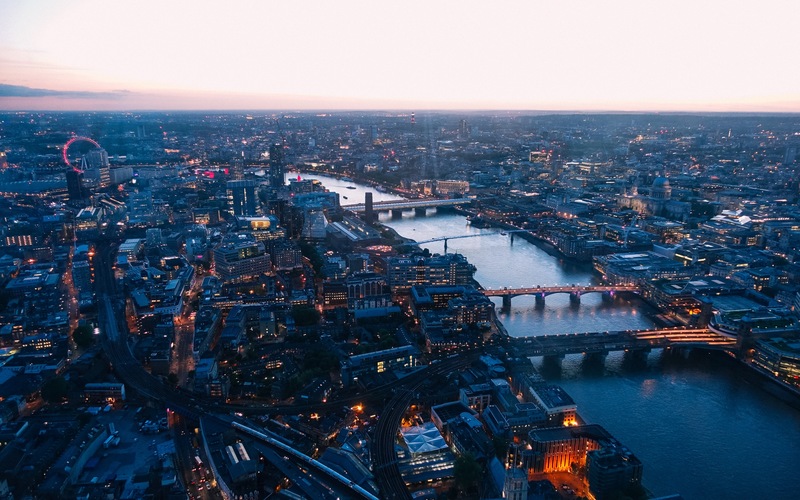 Duck and Waffle – Modern European restaurant that’s open 24/7. Reservations encouraged. £££ on Yelp. If you have other recommendations, feel free to leave a comment below. 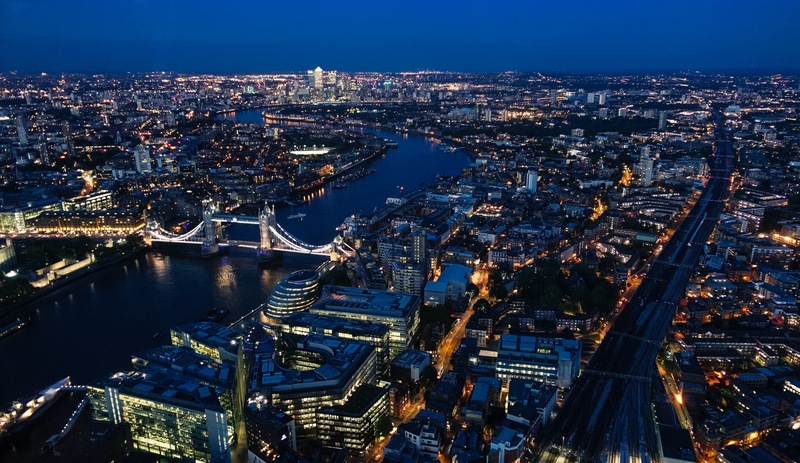 Photo credits: The Shard exterior by Tez Goodyer. 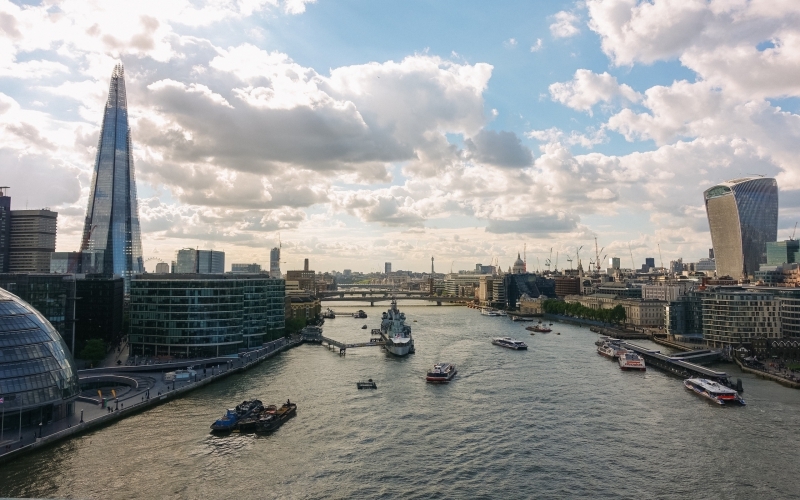 Wide-angle view of the Thames by N-.